Is there any writer who's come up with a creative idea and not been asked "Where do you get your ideas?" I used to imagine having a warehouse with loads of ideas, shelved, waiting to be sent on a conveyer belt to me as needed (and not a few clients seem to assume that I have them just that close to hand). 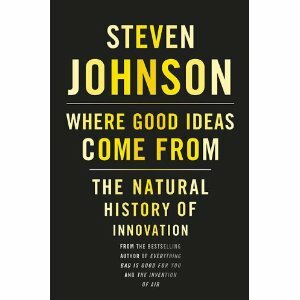 In this TED talk, Steven Johnson -- author of the forthcoming book Where Good Ideas Come From: The Natural History of Innovation -- talks about where ideas really come from, and which environments lead to creativity, from coffeehouses to the web to biological environments and cities. He pays attention to recurring patterns of behavior, wondering whether we can apply them to our own lives and work to boost creativity...and along the way, does some myth-busting around our inspirations and insights. Johnson contends they're not the stuff of "Eureka!" moments, but are "cobbled together" from randomly collected bits of inspiration, via our networks (online and off) and environments that are, well, chaotic--places where you are more likely to "collide" with ideas. 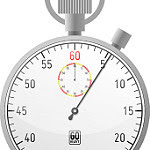 The problem: When we talk about our idea-forming, we tend to want to summarize it into that discovery moment, but often, good ideas take a long time to simmer. You also may need to work with a creative partner to get your idea out of the mulling process and into reality, Johnson notes. Check out this excellent Slate article, "Two is the magic number," about how creative pairs breed creative success. (Think Lennon and McCartney, for starters.) Johnson's final story tells you how creative collaboration led to the creation of global positioning systems (GPS). What do you think of this talk? Does it reflect your creative process? I offer communications and social media strategy consultation; content development; and training in public speaking, social media and related skills--and I welcome your referrals, at info[at]dontgetcaught[dot]biz. Check out don't get caught on Facebook, where I'm floating ideas and discussing them before they appear on the blog. It's shaping up as a great networking community for communicators. New here? Find out how to subscribe to the blog and my free monthly newsletter. Programmer-journalists get their own "Nerd Blog"
Who are you? What are you looking for here? What message do you send about PR?